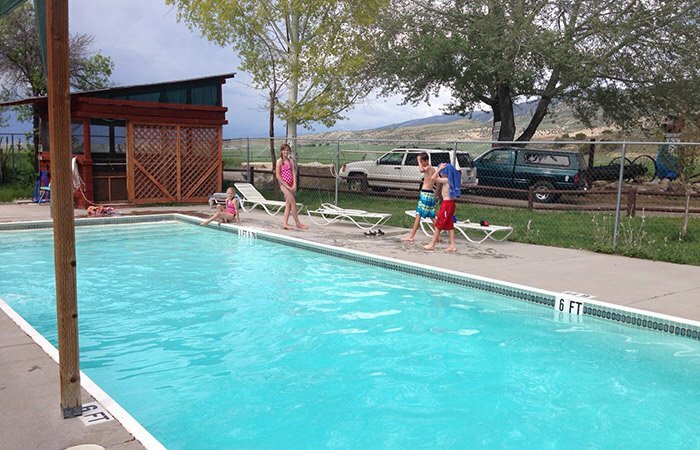 Come and be treated like family at Temple Hill Resort where great accommodations await you. On arrival, we’ll get you properly situated in a large pull through site, with full hook-ups, lush lawn, and a campfire pit just waiting for S’mores. Brought a tent, no problem, we’ve got plenty of lovely grass sites right under the stars or in the shade of our mature cottonwood trees. With so much accessible, you’re going to love our resort. Peaceful, relaxing, and quiet, the park is your perfect hidden haven, a home away from home. 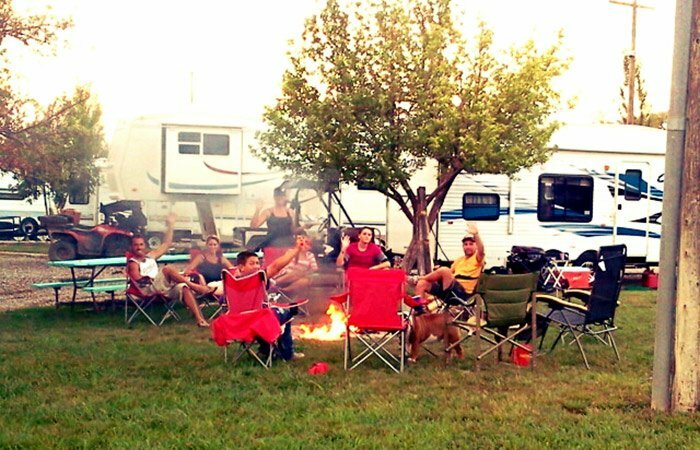 With a campfire pit right at your RV site, it could not be easier to enjoy an evening barbecue, a quick verse of Kumbaya, or just the calming glow and warmth of the fire. 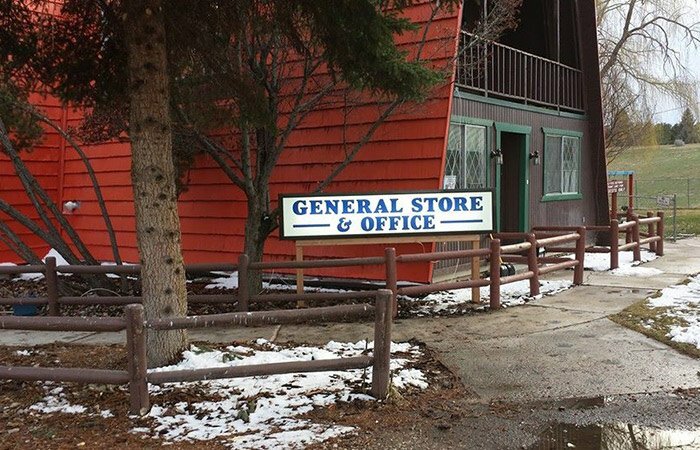 Bring your own wood, or stop by our convenience store. 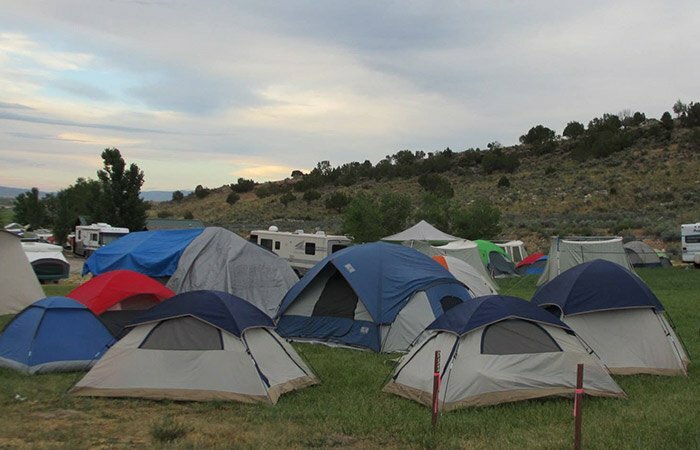 Fire Pits are available to rent for tent sites. Please inquire when making your reservation. Our store is stocked with all the necessities. So if you happen to forget something or just want to pick up a few extra treats, from ice cream to sodas, we will have it for you. If close is only good in a game of horseshoes, well then here is your chance. 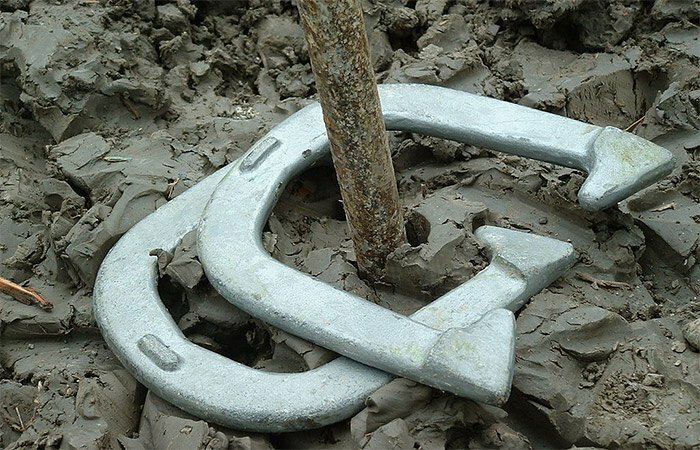 At Temple Hill Resort, enjoy a few rounds of horseshoes and show family and friends just how close you can be. 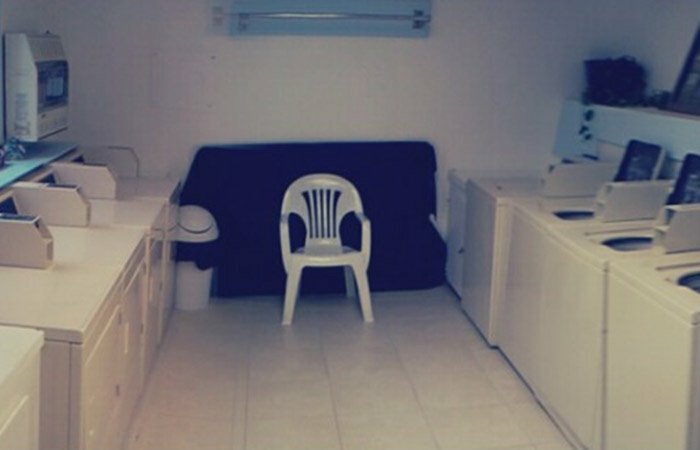 Our campground is equipped with four coin-operated washers and dryers. We also offer a variety of different laundry soaps to match your needs, and quarters are always available in the office. Laundry room hours are from 9am—8pm. 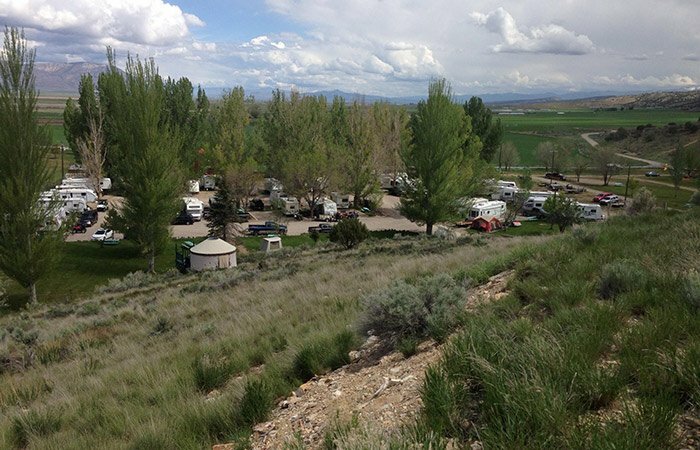 Temple Hill Resort has been recognized as one of the state’s most beautiful RV parks and campgrounds. With RV and tent sites engulfed in the wonderful landscape of mature cottonwood trees, lovely bushes, and lush green lawns, it’s no wonder these spots are reserved well in advance. Temple Hill Resort’s playground is what all other playgrounds aspire to be. With three slides, a suspension bridge, swings, a fort and a huge tire hide out, your children will be entertained for hours. 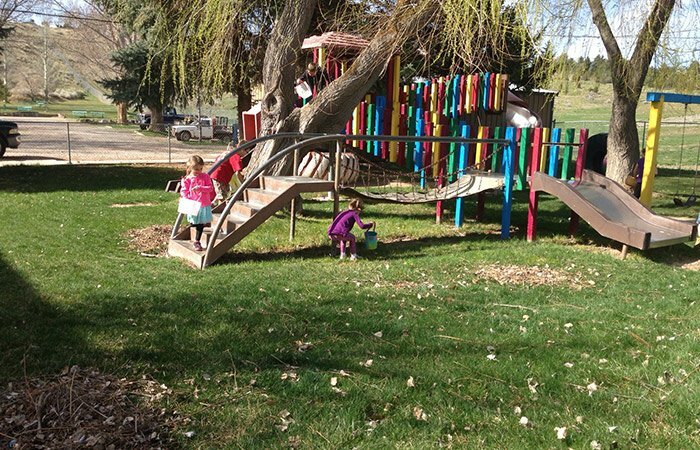 This playground is not only one of the best in central Utah, it is also covered in shade making it a relaxing playtime for both children and adults. Guests come to the park exclusively for the beautiful pool, and who can blame them? When you see the pool sparkle, you too will be beckoned to come relax and play. The pool is open (weather permitting) Memorial Day through Labor Day and is a perfect way to enjoy those warm summer days. Pool hours are 10 AM – 8 PM. Our clean restrooms and warm showers are so nice and inviting, you’ll easily forget you’re out in the wilderness camping. 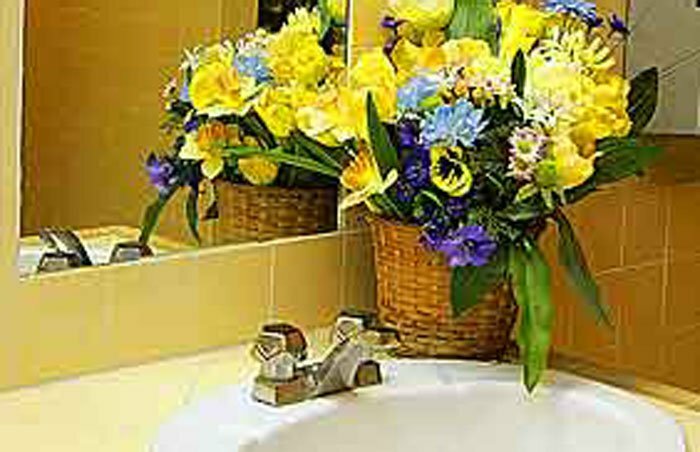 We have two separate facilities all with the luxury of flushable toilets. During our peak season we have hourly restroom checks, which ensure you always have a pleasant experience regardless of the crowd. 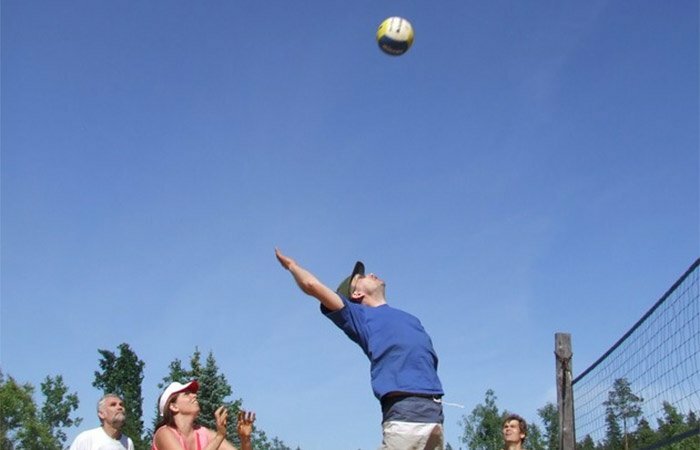 Are you dying to show-off your spike serve? Then here’s your chance on Temple Hill Resort’s sand volleyball court. Intimidate your opponent or improve your skill in a game set against the inspiring beauty of the Sanpete Valley. Bring your own volleyball or stop by the office and use ours. Enjoy the safety and security of 20 acres of fenced in land. The parking pads are all very level. We have tables at your RV site. Picnic Table may be reserved for all tent sites. Please inquire when making your reservation. Come walk down our antique lane and discover the “gems” of yesteryear. Then be caught in the mystery of how pioneers used these unique tools to build the impressive LDS temple or how these tools were used in their everyday life.